You’ve decided to take your team on the trip of a lifetime. 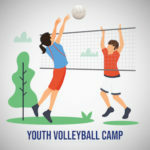 The question is, do you know how to plan a volleyball tour efficiently, effectively, and without stressing yourself out? 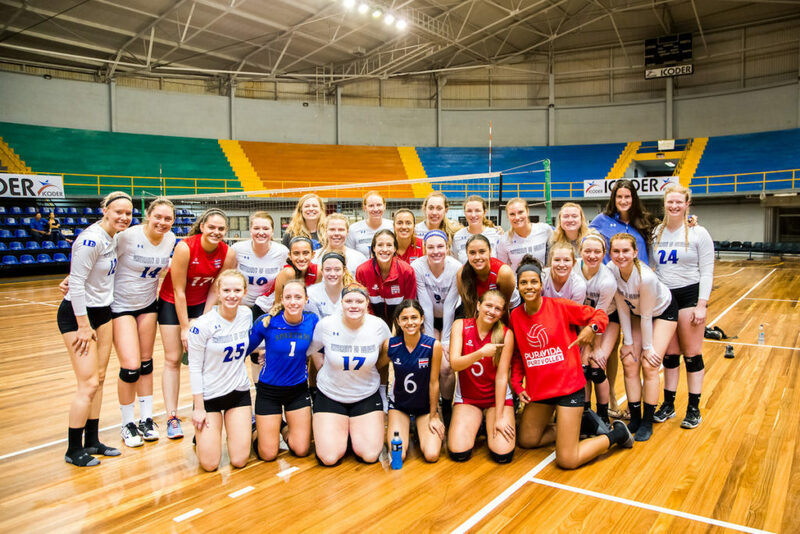 Although organizing an international trip for your volleyball team can seem overwhelming, by planning ahead and following these few suggestions, you’ll find that it is easier that you might have expected! 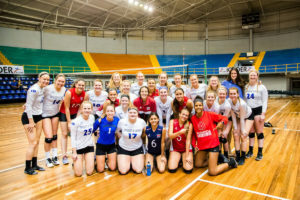 First off, you need to be able to explain the benefits of an international volleyball tour to your players, their parents, and your club or school’s administration. In taking a volleyball trip, your players will build team unity and trust with one another as they face the challenges and excitement of being in a new country. Additionally, the team will learn to adapt to differing styles of play and, as a team, you’ll be able to try players out in new playing positions without worrying over the effect it could have during regular season games. Lastly, you and your players will get to share a once-in-a-lifetime adventure in a foreign country. Now that everyone’s on board, it’s time for the real planning to begin. 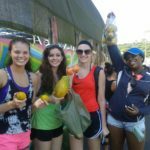 Contact one of Costa Rica Sports Tours’ trip managers about your goals. They’ll customize a tour proposal for your team based on your individual and group needs. 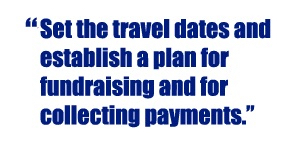 sufficient interest, set the travel dates and establish a plan for fundraising and for collecting payments. As far as ideal travel dates go, spring break and preseason are popular choices. However, your team can travel whenever it is convenient for you because there’s always great volleyball weather in Costa Rica (about 75 degrees), and our leagues play year round. Also, this is the best time to book group airfare. We can secure your group’s reservation 11 months in advance with a deposit and the rest can be paid later. The earlier you get started on a fundraiser, the more successful it will be. Follow this link to read about successful volleyball tour fundraisers. Players who do not have a passport should visit a U.S. Postal Service location to request one at this time. It is good to allow at least 2 months to obtain your passport, even though it is usually processed faster. As a team leader, it would be best to have a substantial financial commitment from each participant by this time. We recommend collecting the full amount of the airfare at this time. This will allow you enough time to submit it in one single payment to Costa Rica Sports Tours and secure the airplane seats for your group. Making the payment is easy, as we have an account with Bank of America. Finalize your participant list and cancel any spaces that have not been paid for. Collect 50% of the land portion tour cost and send the second payment to Costa Rica Sports Tours to confirm your hotel reservations. Have all participants read over and sign the Participant Application and mail the forms. Confirm that each participant has health insurance that will cover him/her during the trip. Meet with your team to go over the itinerary and decide which sightseeing activities you would like to do. Finalize and submit your team rooming list and the final payment due to Costa Rica Sports Tours. Also, this is the time to make sure all the players have the things necessary for the tour, such as cleats, uniforms, and bathing suits! Review our Travel Guide with the team and share it with the parents. It’s time to pack and get ready for the trip of a lifetime! If possible, hold one last meeting with your team to go over expectations and rules for the trip. There is no need to exchange money before the trip, as U.S. Dollars and credit cards are accepted everywhere in Costa Rica. We will be waiting for you at the airport and we will take care of everything else from the moment you land until you depart. You can focus on your team and enjoy yourself! Click here to speak with a representative from Costa Rica Sports Tours and start planning your team trip today!